Sinn Féin has announced a series of election promises including the abolition of student fees as part of a “Mary Lou for Taoiseach” campaign. 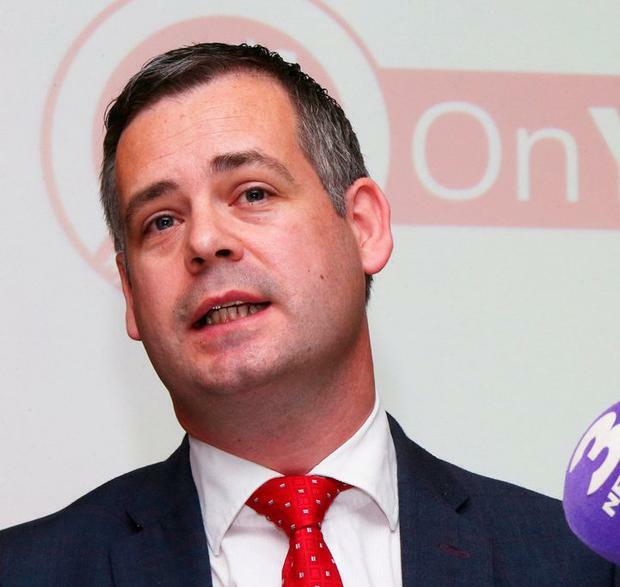 In a clear indication the party is ramping up for a general election, finance spokesman Pearse Doherty said the party will introduce a living wage and implement universal healthcare. “So whenever Leo and Micheál decide the love-in is over and an election is called, they will know Sinn Féin is ready,” he told delegates at the party’s Ard Fheis in Belfast. Mr Doherty said the party would “create a modern economy”, although he didn’t set out specifics for how the party would pay for the proposed measures. But Mr Doherty said last night that in government Sinn Féin would “free families from the unrelenting burden of worry and insecurity”. “We will begin implementing our plan for universal healthcare, free for every citizen as a birthright,” he said. In her opening contribution, deputy leader Michelle O’Neill made it clear the party intended to pitch Ms McDonald as a potential Taoiseach whenever an election was called. She said Sinn Féin “stands for women”. Sinn Féin members last night gave their leadership the green light to discuss entering coalition with any party after the next election. A motion had sought to limit their negotiations to left-wing groupings – but on foot of an amendment from the Ard Comhairle it was agreed that while it would be preferable to form a left-wing government, other options could also be explored. Two motions to be debated today relate to Sinn Féin’s position on abortion. Although backing the repeal of the Eighth Amendment, the party is not currently in a position to back the legislation proposed by the Government. A motion placed by party bosses would allow them to set party policy on the issue rather than leaving it in the hands of the membership.